Makeup stains on your dress, bad breath for your first look, a button pops off the groom's tux, someone's too hungover to smile. 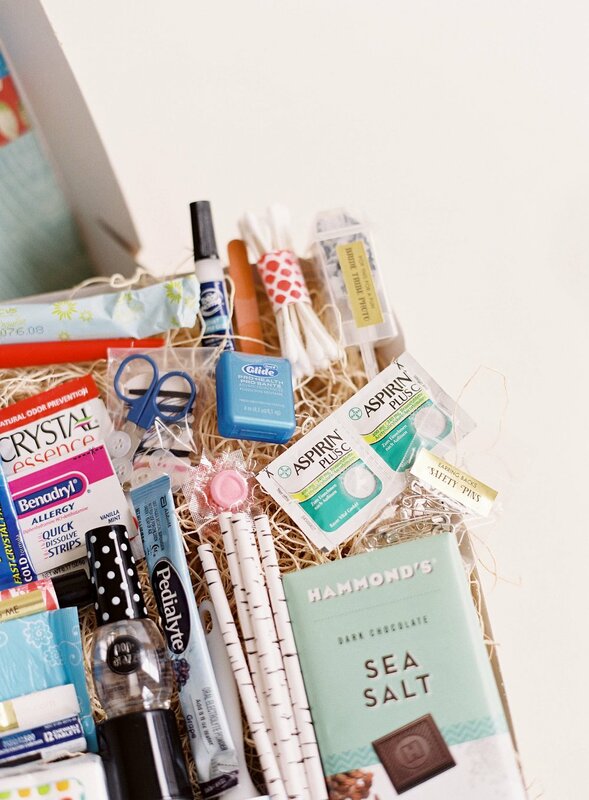 It's no secret that many wedding planners carry around a full suitcase of last minute life saving items for JUST these situations. But what if you don't have a wedding planner?!? 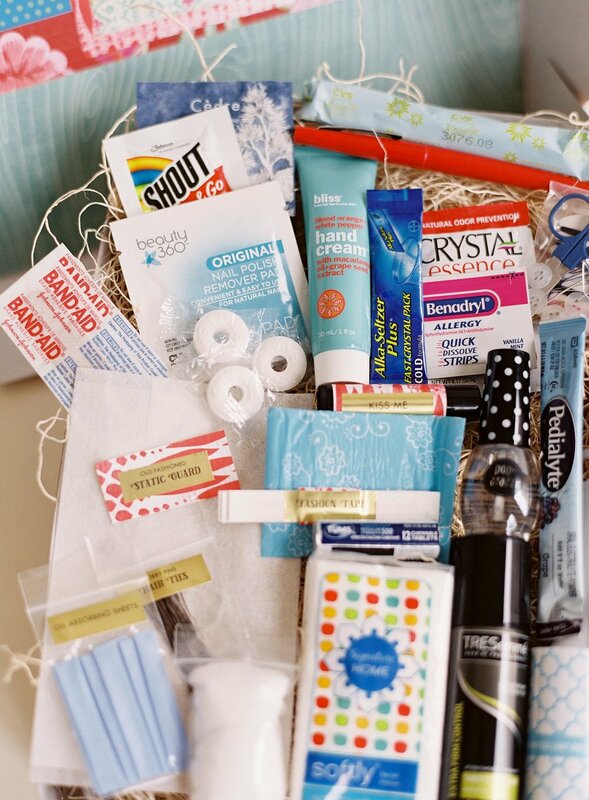 Everything you could need, we've included in our In Case of Emergency Bridal Suite Box! To buy everything in this box yourself, you could spend $100s! Don't spend $8 on a box of Pepto just on the OFF CHANCE you could need it! 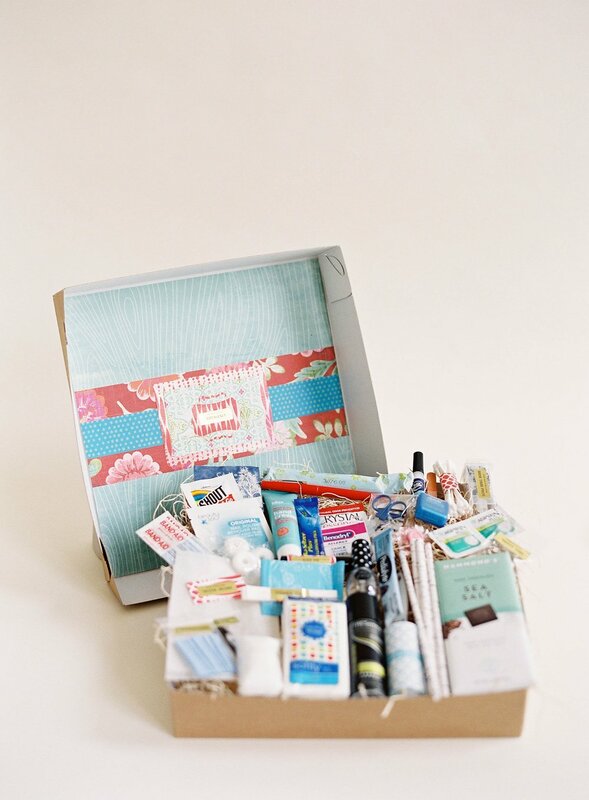 We include just a little bit of everything in one affordable little box that is easily transportable and displays beautifully in your bridal suite during wedding day prep. 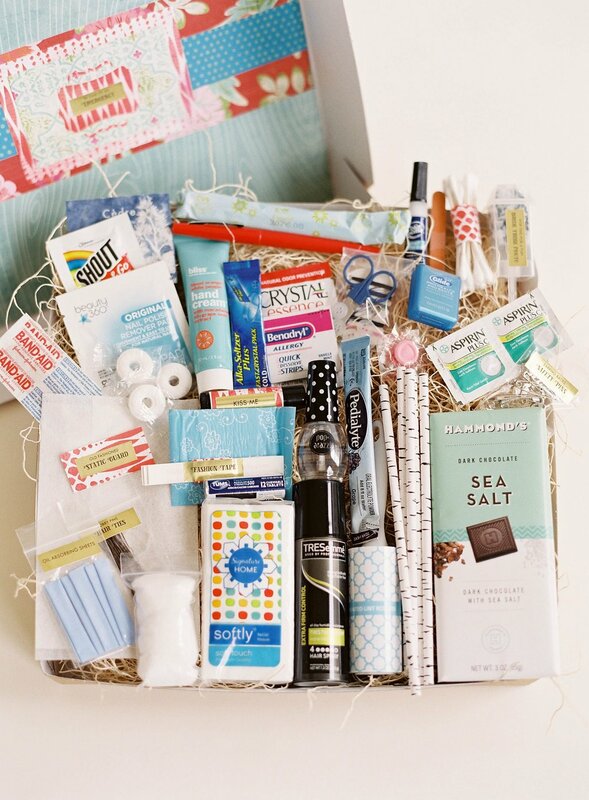 This box is a PERFECT bridal shower gift! 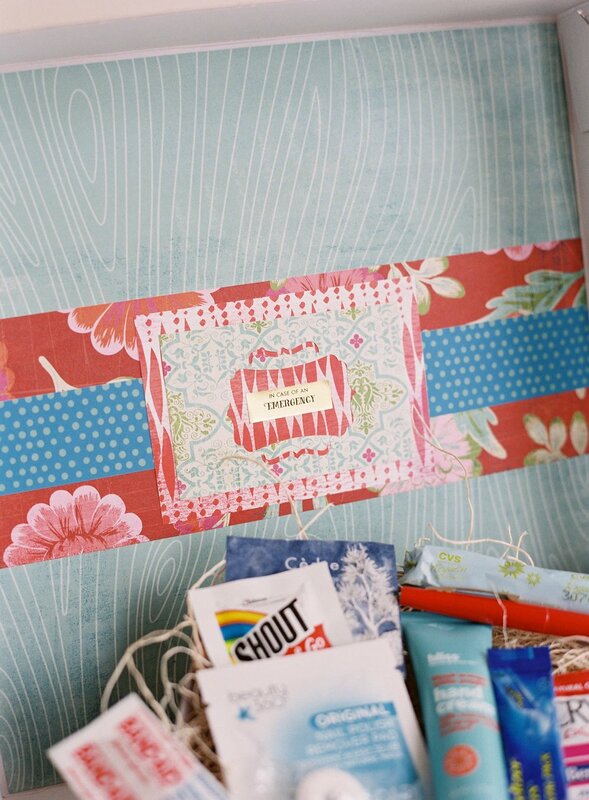 OR BRIDES - include this box in your wedding day budget and save yourself a small fortune! Consider your venue and what you may have access to on the day of!